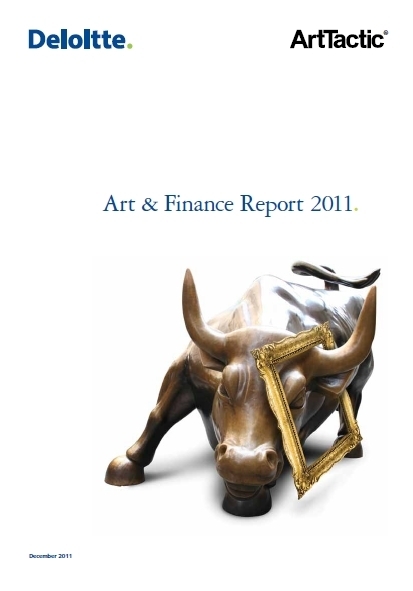 Art & Finance Report 2011 | Deloitte Luxembourg and ArtTactic conducted the research for this report between July and October. Deloitte Luxembourg and ArtTactic Report 2011 surveyed 19 large private banks predominantly in Luxembourg. Deloitte Luxembourg and ArtTactic employed more than 900 private wealth managers. Our aim was to establish the perception, motivation, as well as the current and future involvement with art as an asset class.